Why Choose Complete Plumbing & Rooter? We'll Beat Any Advertised Or Written Quote From Another Licensed Plumber. You Can Rest Easy With Complete Plumbing And Rooter. The Cost Does Not Have To Be Overwhelming. We Have Affordable Financing Options Through The BENJI Program. We Can Help You Get Financed! Have you noticed that your water pressure seems unusually low? Or that when you turn your faucet on, dirty water comes out? If you are having problems with your water, chances are that there is something wrong with your pipes. 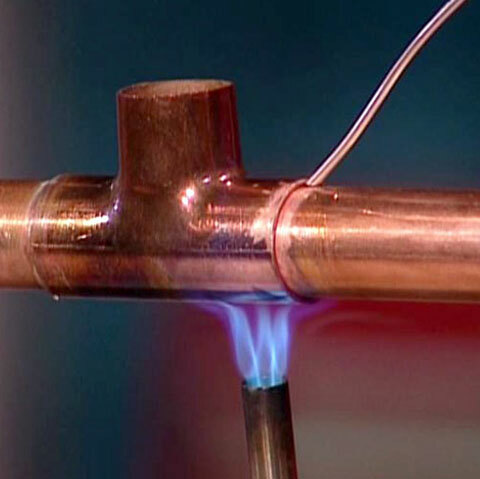 Whether you have old galvanized piping mixed with copper pipes running through your home or there is a pinhole leak, Complete Plumbing & Rooter can take care of your piping problems for you by repiping your home or office. When it comes to your home or commercial property, the pipes that run through the entire space matter more than you might think. Whether they are old or not, any small problem could lead to devastating damage if it is not taken care of in the proper manner. We are your Southern California repipe experts, and, when there is a problem, you can trust that we’ll suggest what is best for you while providing you with solutions that work, at an affordable price. From replacing your old galvanized pipes to working on your gas or sewer line, we believe in providing you with effective repiping solutions and making you our priority. Whether we replace just a few pipes or your entire system, we do it with ease. Using Wirsbo and Zurn PEX pipes, our newer generation, eco-friendly polyethylene tubing systems offer much more than the old copper and galvanized system. Because they are easier to install, reducing water hammering, corrosion, and scale deposits, and come with a lifetime warranty, you can rest easy knowing that the repipe will last. Insufficient plumbing does not have to affect you. Call us for your free repiping estimate today! 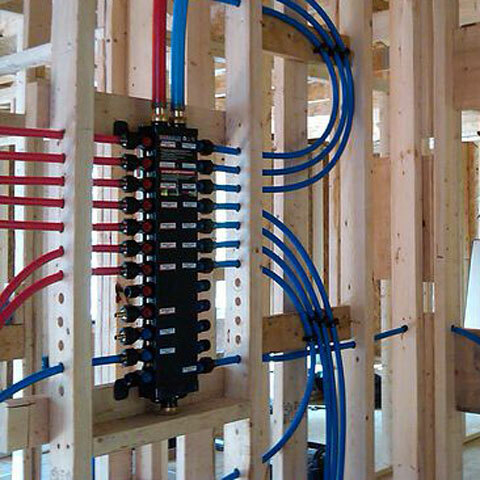 Copper or PEX? What’s the difference? 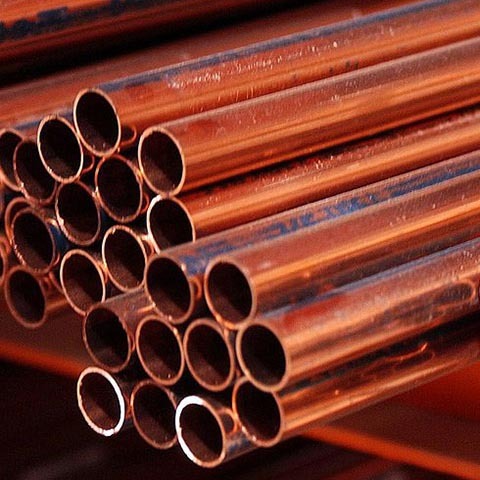 Copper: This traditional piping option is difficult to install and is not eco-friendly. 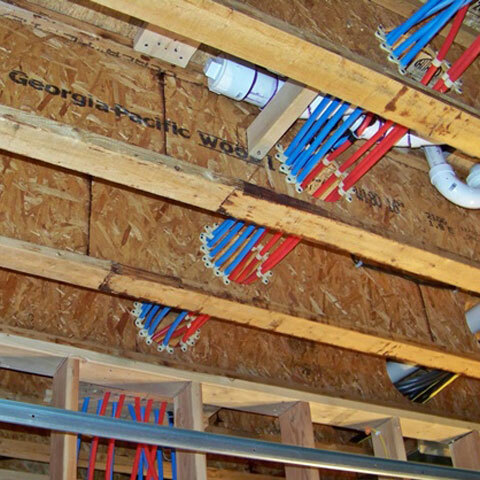 PEX: A newer generation polyethylene tubing system offers reduced installation time, reduced water hammering, and resistance to corrosion and scale deposits. At Complete Plumbing & Rooter, we love what we do and are passionate about taking care of you. Responding to your repipe service calls 24 hours a day, seven days a week, we are your 24 hour plumbers and you never have to worry about what might happen.